Founded in 1978 – Topman is the male equivalent of Topshop. Most of Topman clothing is in-house designed , which revolves around the latest trends and is refreshed on a monthly basis. There is a lot of variety on offer in the collections at Topman. 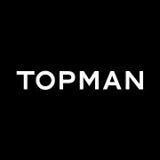 Topman’s cutsomers vary from teenagers looking for up to the minute fashion for a night out to older men who want to top-up their wardrobe with essential basics and classic fashion staples. Topman also sell affordable sharp suits , clothes with a vintage influence , retro 1980’s style sportswear.